When we say eggplant, you say Parm. But this nightshade is more than just tomato sauce and cheese. There are tons of other recipes that showcase this hearty veggie, whether it’s baked, fried, roasted, grilled or stuffed. Here are 20 unexpected side dishes to try. Don’t forget the garlic dill sauce. Every salad should involve bread. Tip: You can swap the quinoa for rice or couscous. Comfort food, right this way. You won’t believe how easy it is to throw this together. Close your eyes and you’re in Provence. A homemade sauce that’s out of this world. A healthier way to satisfy that salty craving. We’re swooning over the flavors in this dish by Coterie member Jodi Moreno. Best enjoyed on cold winter nights. All done in one skillet. 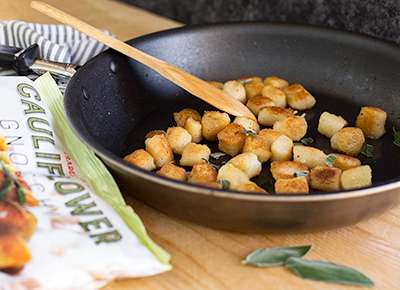 Extra croutons are always a plus. This delicious sauce soaks right in for maximum flavor. Coterie member Monique Volz knows exactly how to transform this versatile vegetable.